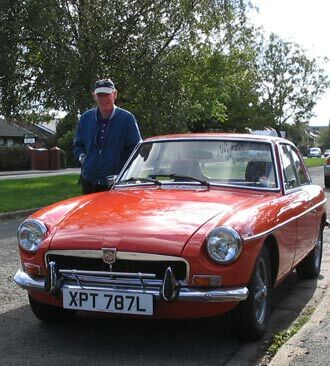 Tom purchased his first MG (a 1948 TC) in 1965 for £75. It was in daily use during 1965-1967 even making room for a carrycot in the back and was then laid up in his garage for 28 years. After taking early retirement Tom then gave it a full nut & bolt restoration during 1994/95 after taking it totally to pieces. Around about this time Tom joined West Lancashire MG Owners Club. 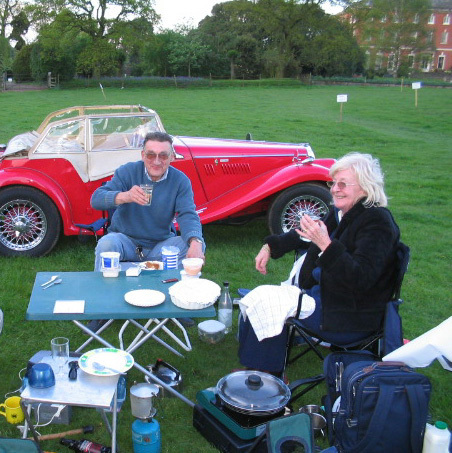 He was made very welcome especially as he had the then only “old style” square rig type MG in our club. Tom took this car to shows all over the North West and won many awards with his TC, a tribute to his engineering skills in rebuilding the car to such a high standard. In 1998 Tom joined the committee of the MG club and served as the events secretary for 5 years (with a break in 2000-2001 with ill health). 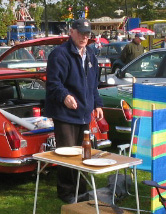 He took the events very seriously organising the cars on the club stand with a wave of his trademark walking stick. He took great pride in the club stand winning awards for best stand at the shows on many occasions. 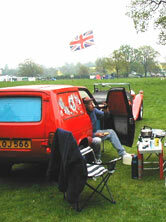 Camping overnight at shows in his homemade Reliant Robin caravan conversion (known to all as the “Plastic Pig” and towed behind his TC and later the TF) were some of his favourite times. 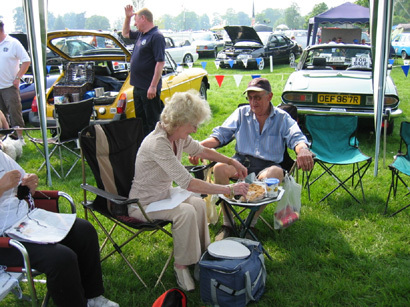 He was always ready to help club members solve problems with their cars and was a leading member of the committee as the club developed its successful Festival of Transport at Scarisbrick Hall. 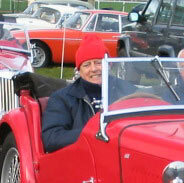 The culmination of Tom’s time at West Lancs MG was being elected Chairman of the club in January 2007 and he continued to fulfil his duties throughout last year despite gradually failing health. He was ever present at club and committee meetings and the club members will sorely miss his presence. Sadly , we have to announce the death of Tommy Evans after a short illness. Tom was taken ill at the Leyland show in September and after a brief spell in Chorley hospital, he returned home, only to be taken ill again at the beginning of December. He was rushed into Southport Hospital where he died on 21st December. Tommy was a stalwart of the club. He had been a member since 2002 , serving on the committee during 2007 as the Events assistant. Olive died on May 7th after a brave 2 year battle with cancer. 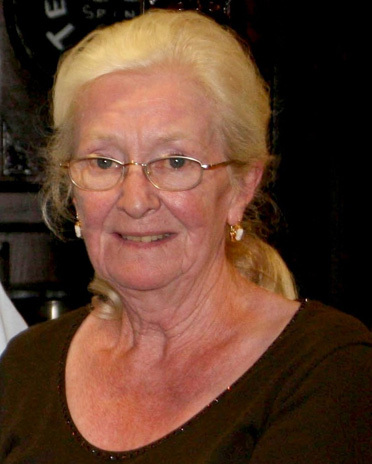 Olive, together with husband Bill had been a member of the club for around 10 years. Initially joining us with her red Midget 1500 which had been Olive's everyday car since the 1980s. Olive and Bill very quickly became involved with all the activities of the club. 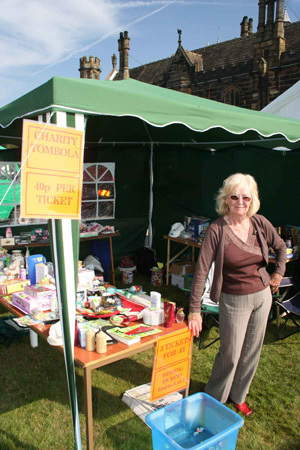 It was Olive who suggested a tombola stall at the Club show at Scarisbrick Hall and successfully raised funds for her favourite children's charity as well as helping with all other aspects of the show. She also loved the club events and shows, especially the camping weekends. Olive and Bill travelled with their Midget and trailer tent to shows as far afield as Flookburgh in Cumbria and Catton Hall in Staffordshire. 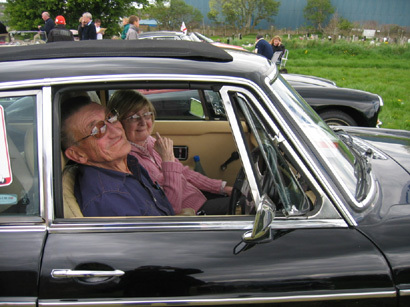 Eventually Olive needed a more comfortable car so Bill bought a very nice black MGBGT and they were able to continue travelling to the shows in style , even venturing on to continental Europe for longer trips getting as far as Spain. 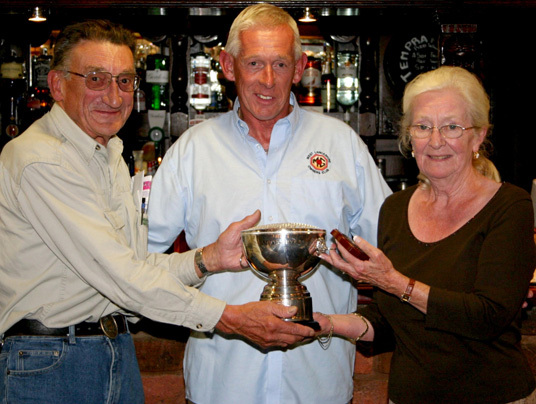 Olive , together with Bill were awarded the Dargan trophy in 2006 for all their work for the club. Most club members though will remember Olive for the special apple pies she made and shared out at the shows with all members present. She will be greatly missed by all of us. Tom Evans with his GT , which he sold only months before he died to buy a Magnette, which he sadly had no time left to drive.